The employee mobility market is on the cusp of change, with the growth and evolution of Mobility as a Service (MaaS) challenging existing assumptions about business transportation, and raising questions about whether businesses should be making the shift from ownership to usership. Facing internal financial pressure, many fleet managers are already looking at how they can integrate alternative transport solutions into their overall employee mobility framework, seeing them as a means to deliver increased asset utilisation, and reduce fleet running costs. According to a new report from ACA Research, 419,000 Australian businesses currently operate a fleet, owning and leasing almost 3.5 million vehicles (and expecting to add more in the year ahead). Employee-owned vehicles, taxis and rental cars have traditionally been the preferred business transport options over and above their company fleet, but is this still the case as we move towards the end of 2018, and beyond? ACA’s Employee Mobility Insights Report highlights that while these more traditional transportation options are still the preference, it may not be so for long, with established providers clearly being impacted by more recent entrants to the market. 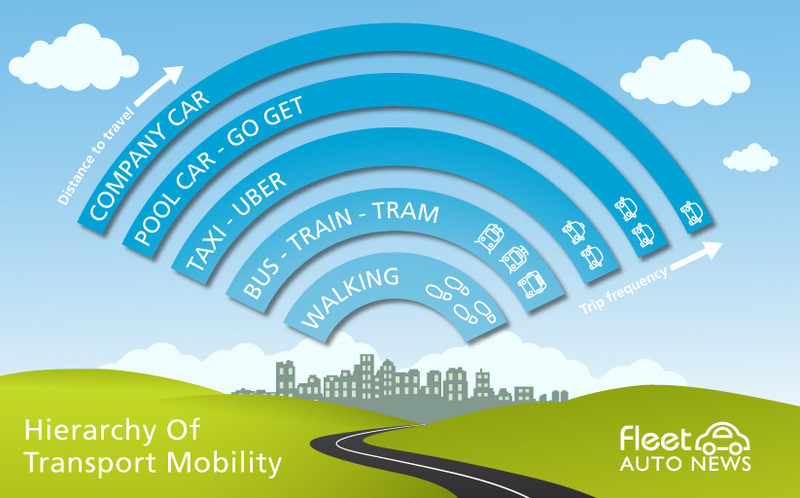 An example of this is the impact that technology-based Mobility-As-A-Service providers in car sharing (e.g. GoGet, Flexicar, DriveMyCar), and ride hailing (e.g. Uber for Business, DiDi, Ola) are having on more traditional sectors like the taxi industry. Ride hailing, in particular, is gaining increasing prominence in the business market. Despite starting with a consumer-centric proposition, Uber for Business now offers a centralised billing system, and a travel dashboard to help business administrators manage usage. ACA’s Employee Mobility Insights Report shows that a third of companies with a business fleet currently use ride hailing, and a large section of this group expects to increase their utilisation of ride hailing even further in the coming year. With usage currently skewing to metro areas, further growth remains likely as operators continue to expand their operations to cover more of the country. The ACA report provides insight into the mobility trends playing out in the business fleet market. It profiles the types of businesses that are leading the way in diversifying their mobility strategy, looking at the transport mix across different sectors, and explore how this is likely to change over the next 12 months.